Do you feel that there’s a decline in longform investigative journalism? And do you feel an obligation to be an advocate for that type of journalism? I think this is a great moment in history for longform work, investigative journalism included. So many outlets are producing thorough and wide-ranging longform reporting, often with the kind of interactive presentations that weren’t possible even a decade ago. More than an obligation, I think Maclean’s values this kind of deep, immersive storytelling. We’re publishing more longer investigations than ever, buttressed by shorter stories with a faster turnaround. You can see some examples of our longform efforts in our longreads collection on Flipboard—investigations into Canada’s crisis in government data and a scandal involving a photographer at a well-known Canadian ballet school, as well as features on a 38-year-old’s battle with early-onset Alzheimer’s, the man behind Toronto’s mystery tunnel, and the liver transplant journey of twin sisters and their family—to name just a few. It is election season in Canada. Have you see a difference in campaign tactics used this cycle versus previous cycles? The cost and speed of ad production have both collapsed. Every party is far more nimble in positioning a wide range of ads across TV, radio and various social platforms than ever before. There’s less and less distinction between broadcast messages and direct voter contact. Simultaneously, there are fewer reporters on campaign buses, and many campaign events are now webcast live. The upshot: campaigns are speaking more directly to voters than ever before. How do you expect the Canadian election to impact U.S.-Canadian relations or politics? Most relations between our countries are direct and don’t depend on politicians. At the executive level, relations between Canada’s prime minister and the U.S. president are frosty and have been, essentially, since Chrétien-Clinton broke up in 2001. That’s a long break from close personal relations at the top. It could well continue if the party stripe of president and prime minister continues to be incompatible after 2016. What value do you hope readers gain from reading your Flipboard Magazines? Through Flipboard we’re able to surface our storytelling in interesting ways: for example, bringing together regular features like our weekly in-depth Q&As and cover stories into groupings we hope are rich, thoughtful and maybe a little surprising. This year our political coverage has come to the fore in the lead-up to Canada’s federal election on October 19. We’ve been gathering our election work into a range of Flipboard collections meant to serve as resources for readers and prospective voters: Issues primers, essential reads, charts and infographics and stories specific to the Maclean’s National Leaders Debate we hosted in August. 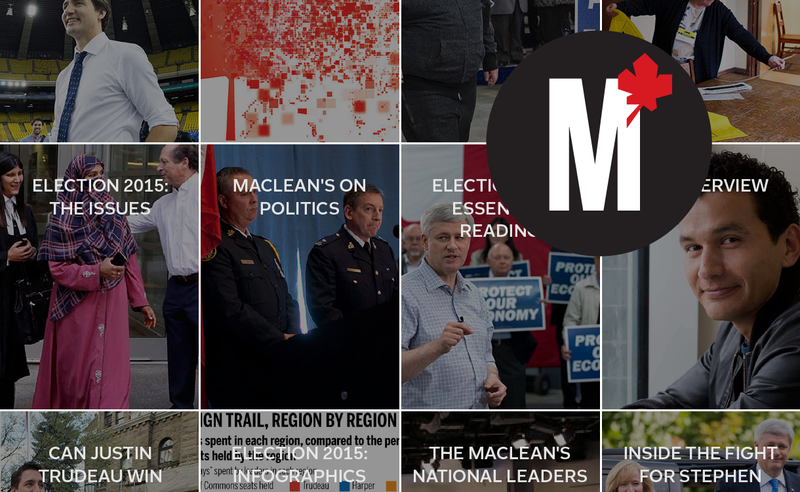 Check out all of Maclean’s Flipboard Magazines for in-depth journalism and a look at Canadian politics.